Kokedama consist of moss formed around a the roots of a plant to create a hanging arrangement. This hands-on process makes for a great project for kids. 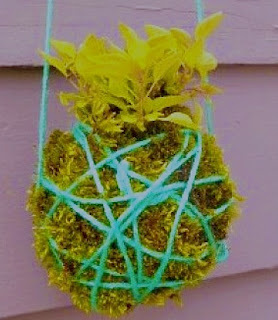 Check out kidsactivitiesblog.com for a quick tutorial on this fun gardening project.